This is the page where I'll describe go karts and news in more detail. THE YEAR 2007 IS ABOUT OVER.WE WOULD LIKE TO SAY THANKS TO ALL TRACKS/RACERS.THE ONLY TRACK THAT I THINK IS OPENED IS WOODLAND RACEWAY.CALL 315-592-2370 TO SEE IF THEY ARE PRACTICING ON WEDS OR RUNNING ON SUNDAYS. WOODLANDRACING IS RUNNING ON SUNDAYS APPROX TIME IS 4:00P.M.STARTING TIME IS AROUND 5:00P.M.THERE IS A DONATION FEE OF $10.00 FOR ALL DRIVERS.$5.00 PIT PASS.$1.00 SPECTATORS.ALL DONATION DO GO INTO THE TRACK TO HELP MAINTAIN IT.THERE IS PRACTICE NIGHTS WHICH IS ONLY A $5.00 DONATION.IT IS USUALLY HELD ON WEDNESDAY AROUND 4:00P.M. BUT ANY QUESTIONS YOU CAN CALL DEREK AT 315-592-2370.COME AND HAVE FUN.THOSE WHO DO NOT KNOW HOW TO GET HERE.COMING THROUGH FULTON ON ROUTE 3 HEADING TOWARD HANNIBAL.TAKE A RIGHT ON RATHBURN ROAD.GO TO 2 TRAILER PARK ON LEFT YOU WILL SEE A BLUE METAL BUILDING AT 1ST ENTRANCE DRIVE TO END OF TRAILER PARK YOU ARE HERE.IF YOU SEE A BLUE STORE ON RIGHT YOU HAVE GONE A LITTLE TO FAR.TURN AROUND AND LOOK FOR SIGN WOODLAND TRAILER PARK.ADDRESS IS 393 RATHBURN ROAD. 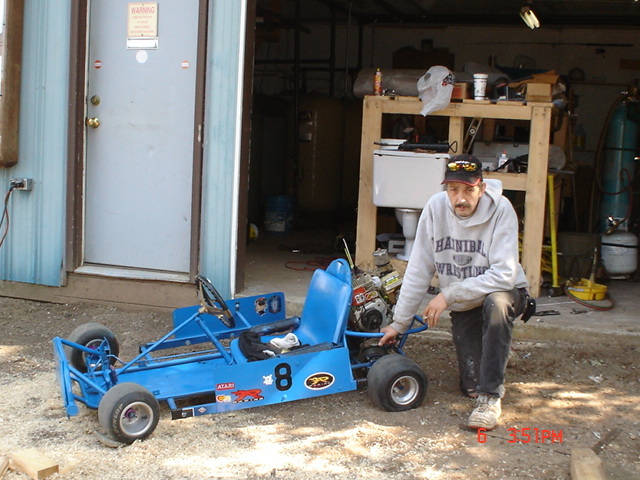 we now know that oswego go kart track and gallettas are now closed.woodlandracing is still running providing wether permits.get ready for the 2008 season.we will have a 2008 site.